The command line is a powerful tool used by developers to find, create, and manipulate files and folders. 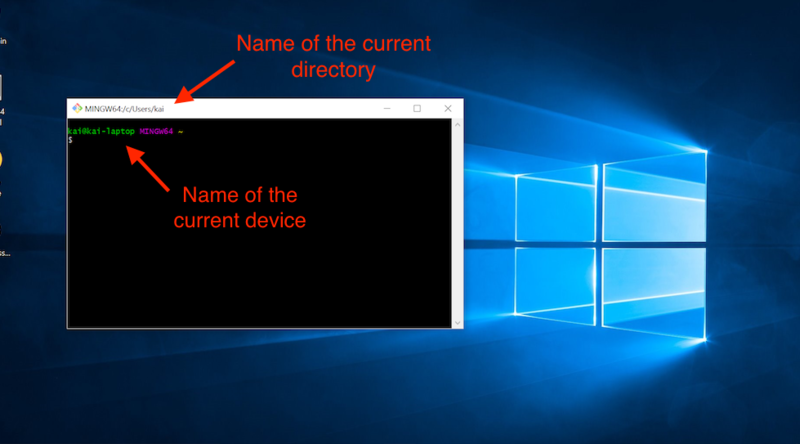 This short tutorial will walk you through the steps for setting up the command line application on your computer. You can either watch the following video, or read the rest of this article. Command Line Interfaces (CLIs) come in many forms. The CLI we’ll use is called Bash. Bash, or the Bourne-Again SHell, is a CLI that was created over twenty-seven years ago by Brian Fox as a free software replacement for the Bourne Shell. A shell is a specific kind of CLI. Bash is “open source” which means that anyone can read the code and suggest changes. Since its beginning, it has been supported by a large community of engineers who have worked to make it an incredible tool. Bash is the default shell for Linux and Mac. For these reasons, Bash is the most used and widely distributed shell. If you want to learn more about Bash, this Wikipedia article is a good place to start. As mentioned before, Bash is the default shell on Linux and Mac OS X, so good news, you don’t have to install anything! To access Bash in OS X, you can use an application called Terminal. 1. First open the Applications folder, then open the Utilities folder. 2. Once you’re in the Utilities folder you will see the application Terminal. Open the Terminal application and you’re ready to go! Continue to the “Try it Out!” section below for some simple first steps with your new tool. Windows has a different CLI, called Command Prompt. While this has many of the same features as Bash, Bash is much more popular. Because of the strength of the open source community and the tools they provide, mastering Bash is a better investment than mastering Command Prompt. To use Bash on a Windows computer, we will download and install a program called Git Bash. Git Bash allows us to easily access Bash as well as another tool we’ll be using later called Git, inside the Windows environment. 1. 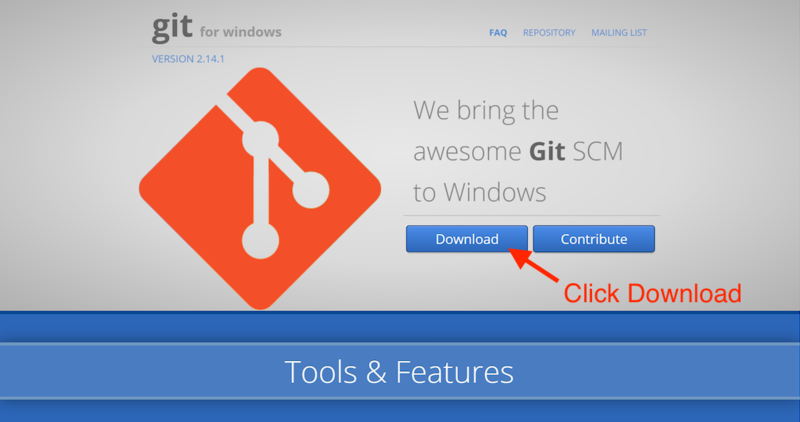 Navigate to the Git Bash installation page and click the Download button. 2. Once Git Bash is downloaded, run the downloaded .exe file and allow the application to make changes to your PC. You will get a prompt that says “Do you want to allow this app to make changes to your device?” Click Yes. 3. To keep things simple, we will use the default settings for everything in this installation, so all you need to do now is keep clicking Next, and finally Finish. 4. 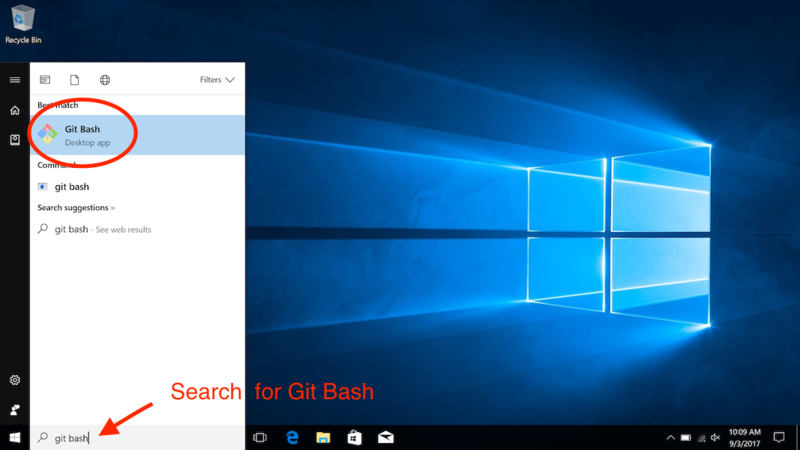 Open the Start menu by clicking on the Windows icon and typing “Git Bash” into the search bar. The icon for Git Bash and the words “Git Bash Desktop App” will appear. 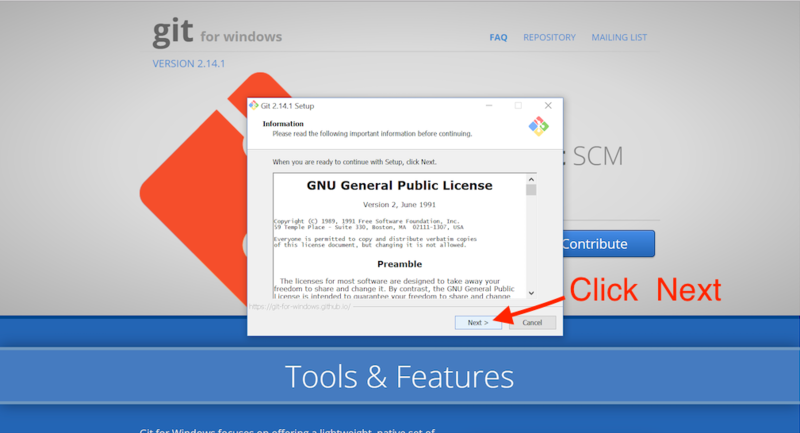 Click on the icon or the words “Git Bash Desktop App” to open Git Bash. 5. A new window will open. This is the Git Bash CLI where we will run Bash commands. Whenever a new window of the Git Bash app is opened, you will always be placed in the same directory, your home directory. The home directory is represented by the tilde sign, ~, in the CLI after MINGW64. The tilde is another way to say /c/Users/username in Git Bash or C:\home\Users\username in Windows’ Command Prompt. Git Bash works by giving you a CLI that acts like a Bash CLI. That means you can now work with your files and folders using Bash commands instead of Windows commands. Congratulations, you now have Bash installed on your computer, ready to use! Good job! You’re ready to explore the world of the Command Line Interface on your own computer.